Check out Napco’s approach to access control, intrusion and fire alarm system integration. Download this previously live webcast from July 27th, sponsored by Napco, as we introduce SAVI™ and learn to calculate security strengths & vulnerabilities and identify the best, next-steps to take to protect against active shooter incidents. 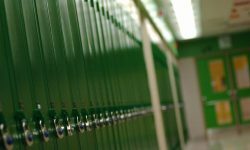 NAPCO’s solution allows schools to initiate lockdowns quickly and tracks the names of people entering and exiting the building. JJ Solorio of JJS Consulting demonstrates a new NAPCO lock designed to address lockdown challenges in schools. The Security Access-Control Vulnerability Index (SAVI) is a new self-audit tool from NAPCO that will help you assess what you need without the bias of any one company, consultant or sales person. Former Houston ISD security manager Byron Thurmond encourages campuses to see challenges as opportunities. Officials from NAPCO Security discussed recent events and trends in school security. Byron Thurmond will serve as NAPCO’s VP of School and Campus Security.